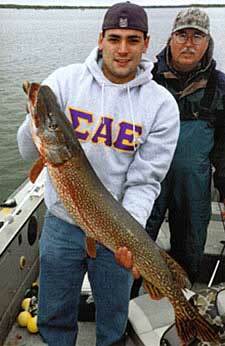 Born and raised in the Deer River and Grand Rapids area, I've been a fanatical fisherman my whole life. I grew up on a lake and since I fished every day as a kid, I learned when, where and how to catch every species of fish found in the area. Now as a fishing guide, I share my knowledge and teach my techniques to those I take out fishing. Bill Broberg has made his childhood pasttime into a career. He enjoys nothing more than spending a day on the lake helping people make memories. 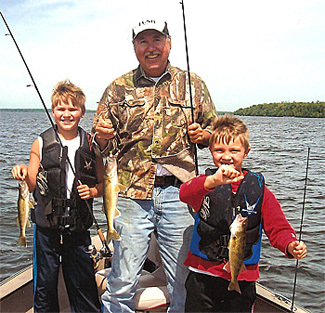 Bill especially enjoys fishing with young anglers. His philosophy is that when you introduce kids to the sport of fishing at a young age you are encouraging a lifelong pursuit of angling. He makes fishing fun for them while teaching successful fishing techniques as well as conservation. Bill makes an effort to promote sport fishing for the next generation by encouraging catch and release. Today’s “keeper” is tomorrow’s trophy. Having company? 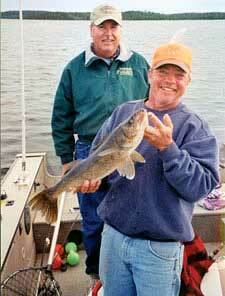 Take the worry out of entertaining family, friends or business associates with a guided fishing trip. 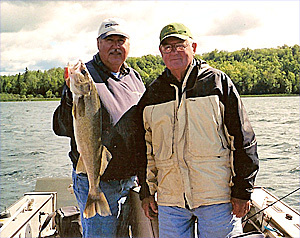 Bill’s Fishing Guide Service can accommodate groups of up to 30 people and he prides himself on having the latest fishing information on area lakes. So you can be sure that Bill will get you on the fish! Bill’s specialty is a Canadian-style shore lunch. He will cook your fresh catch lake-side over an open wood fire. Not even a fish dinner at a five star restaurant can compare to eating your catch-of-the-day while enjoying Minnesota’s natural beauty. A day on the lake with Bill includes the comfort of fishing from his 19’ Lund Pro-V and the use of the latest updated equipment. He provides bait, tackle, rods, reels and lifejackets – or you may bring your own. 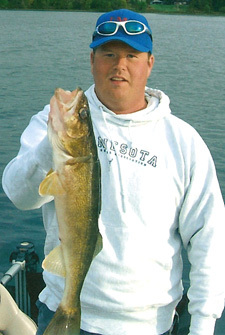 Fish the lake of your choice or opt to try out Bill’s “hotspot.” You need only bring your fishing license, rain and/or cold weather gear and food (if you won’t be having shore lunch). 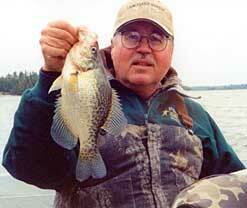 At the end of your trip Bill will clean your catch and package it for you at no extra charge. Thank you for the wonderful fishing experience you gave our daughter Shannon. It is all she can talk about. She had lost all interest in fishing with me and our family until she went out with you. You have changed her whole attitude about life. I thank you again and will be using your guide service again. Watercraft Used:19' Lund Pro V with 90hp Yamaha Motor. Availability & Contact Information: To check availability for a full day or half day guided fishing trip with Bill, click here to go directly to our Check Availability Form or email Bill directly.